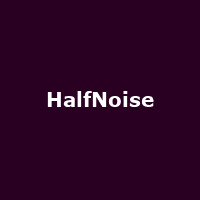 HalfNoise is an American musical project formed by former Paramore drummer Zac Farro in 2010, originally featuring guitarist Jason Clarke until his departure in 2012. The debut EP, "HalfNoise" was released in 2012, followed by the albums: "Volcano Crowe" (2014) and 2016's: "Sudden Feeling". That was followed by the EPs: "The Velvet Face" in 2017, plus 2018's: "Flowerss".